Your hair is a significant part of your personality. They can literally make or break your look. Like your skin, your hair too needs food for a well nourished and healthy growth. For the same, there are numerous hair care products, both natural and chemical loaded that are essential for the right maintenance of your hair. If you have already tried out umpteen products on your hair but are still yearning for beautiful silky hair, try out the following hair care tips. These are essential to follow on a daily basis, nevertheless the hair type. These are the two major factors that essentially affect the health of our hair. Deficiencies of sorts due to poor diet habits lead to hair fall, thinning and finally balding. A proper balanced diet is one of the most followed hair care tips that work towards maintaining its health. Excessive intake of alcohol, cigarette smoke and fat laden food can be extremely injurious to the health of your hair and may even lead to premature graying. Natural products like henna, coconut oil, lemon, shikakai, are full of nutrients and hence serve as ideal food for your hair. For getting shiny hair the natural way, a mixture of apple cinder vinegar and water should be rinsed on the scalp right before washing it. 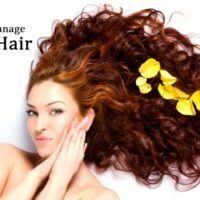 Problems of frizz and tangling can be removed by applying honey mixed in two teaspoon of cream from the tip to the root of the hair strands. Application of sandalwood paste on a daily basis is one of the most important hair care tips, especially for those with oily hair. This natural paste not only helps eliminate excessive oil but also cleans the scalp thoroughly. Henna- This natural product is often used as herbal treatment to hair problems, especially, dryness and frizz. Egg for hair – The albumen or the white portion of the egg serves as a potent natural conditioner for the hair. Curd and beer- These products when applied on the scalp smoothen the hair strands and make them soft. Vinegar in warm water- Rinsing hair with this solution adds bounce to the otherwise dull looking hair. Massaging the scalp with coconut oil is treated as the best defense against dandruff. Mixture of lemon juice, coconut oil and lukewarm olive oil should be thoroughly massaged from the tip to roots of the hair strands. Once the solution is massaged, the hair should be wrapped with steamed towel for 15 minutes. A mixture of fenugreek and mustard oil also work well for eliminating the dandruff. Apart from the above, it is essential to use dandruff-removing shampoos at least thrice a week. Hormonal imbalances, stress and mental tensions are considered the major causes for unprecedented hair loss. Nevertheless the reason, the market is today flooded with umpteen shampoos claiming to reduce hair loss within days. However, it is recommended to opt for natural hair care tips for restoring proper growth of hair, unless the problem is acute. Coconut and almond oil are considered the best natural products to counter problems of hair thinning and weakening. Further, the neem water, made by boiling neem leaves in water, must be massaged thoroughly to reduce hair loss. Increase in the intake of green leafy vegetables, sprouts, milk and its products, fruits, salads and whole grains efficiently work towards strengthening the hair follicles and hence curbing hair loss. Besides hair colors, there are certain natural hair care tips that work towards naturally delaying or preventing hair graying. Paste made from the mixture of henna, fenugreek seed, coffee, mint juice, basil juice and curd must be applied on the scalp till the tip of the hair. Further, increased intake of ginger and honey can also work towards preventing the gray strands from showing. 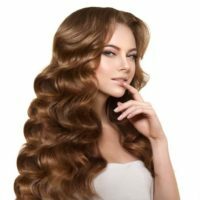 These were some of the most important hair care tips that work towards defending our precious locks against numerous problems. 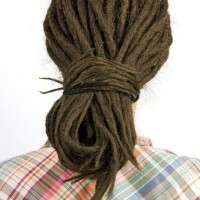 Religious abidance to these tips may prolong the health and life of our hair.